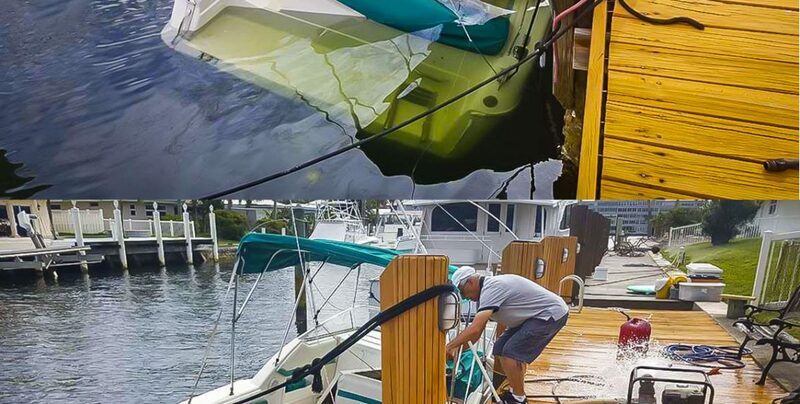 Some new boatowners in Pompano Beach woke up to an unwelcome surprise Monday morning. A leak in the outdrive boot of their 1994 Monterey 24’ overpowered the bilge pump, and the vessel sank at the dock. After a quick call to Fast Response, Capt. Chuck was on-scene in short order. Armed with airbags and pumps, he had the vessel de-watered and re-floated in no time. We recover it all, including submerged cars!